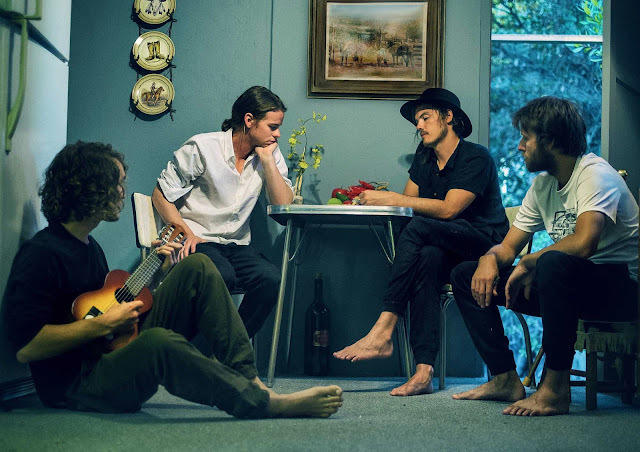 I Can't Figure Out What's Going On is probably something you'll be asking yourself after watching Half Moon Run's mystifying visual display to their latest single of the same name. There is meaning behind the madness though with its wonderfully shot scenes. “The band came to me with ideas about psychedelia/the fluidity of space and time, and I've always been a fan of the Surrealists, and how they work in the subconscious dream space – manipulating symbols and archetypes to imbue chaos with meaning” explains director Heston L'abbée of the conception; one that's been stunningly captured as each seamless transition flows in to one another. Take a watch for yourselves below.